With the addition of LeBron James, and assuming that no one is traded from now until the first game (which is obviously not a certainty), the Cleveland Cavaliers will become the first NBA team in more than 25 years to have four number one draft picks playing on the same team. 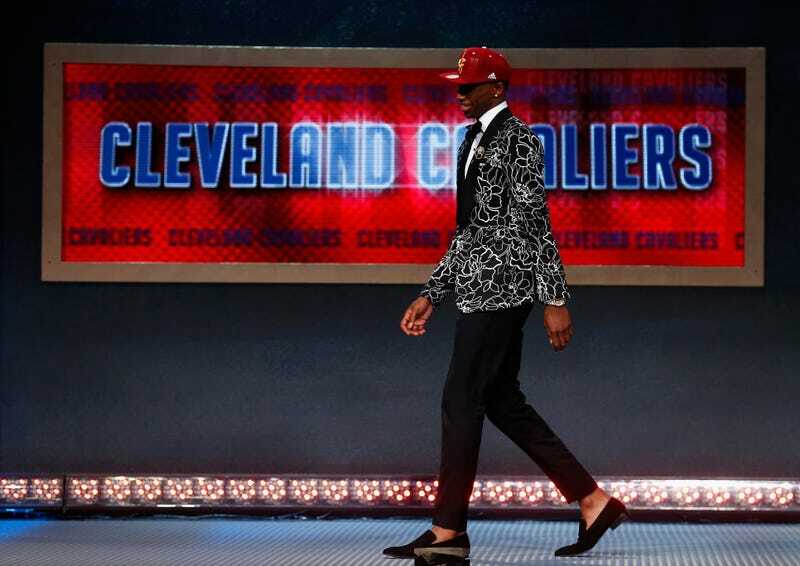 Cleveland now has LeBron James (2003), Kyrie Irving (2011), Anthony Bennett (2013; lol), and Andrew Wiggins (2014). Not since the 1988-89 Lakers has a team had four No. 1 overall draft picks (James Worthy, Mychal Thompson, Kareem Abdul-Jabbar, and Magic Johnson). The 1987-88 Lakers also featured these four No. 1 picks. And the Lakers had an earlier three season run (1959/60 through 1961/62) of having at least four No. 1 picks. In 1959 they boasted a record five top draft picks (Chuck Share, Ray Felix, Frank Selvy, Rod Hundley, and Elgin Baylor). Several other teams have come close to having four number one picks. In the mid to late 1980s, the Rockets featured John Lucas, Joe Barry Carroll, Ralph Sampson, and Hakeem Olajuwon. But these four were never together on a roster. Already having a cluster of previous number one picks put the Cavs in a good position to improve next year. The Lakers teams with four or more number one picks made their conference finals each season and appeared in the finals three times. At least according to oddsmakers, there's a decent chance James could take his new team this far. Correction: An earlier version of this post incorrectly stated the Cavs are the first team since the 1961-62 Lakers to have four No. 1 picks. We regret overlooking Kareem Abdul-Jabbar.